Consider this: if two companies offer similar products but one is well known for supporting social and environmental issues that align with your beliefs – whose products would you buy? 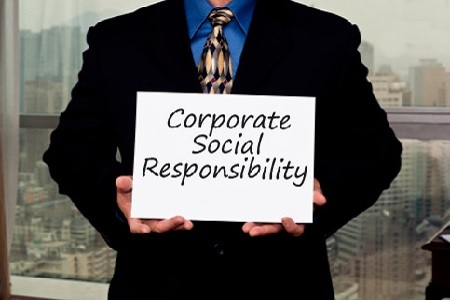 More and more customers are prioritizing a company’s corporate social responsibility (CSR) and holding them accountable for affecting positive social and environmental change. One recent study found that 87 percent of U.S. consumers would purchase a product because a company advocates for issues they believe in and support in their daily lives. Further, 76 percent of consumers said they would refuse to buy from a company if they learned it supported an issue contrary to their own beliefs (Cone). Enacting and supporting a robust CSR initiative helps validate a company’s legitimacy both in the eyes of their customers and shareholders. A report from McKinsey & Company found that companies can directly link CSR programs to increased financial value, even in the short-term. For example, some companies are measuring the impact of environmental or sustainability programs with traditional business metrics such as cost efficiency (McKinsey). Investment entities like Just Capital are even using company CSR ratings to help inform who to finance and back from an investment perspective. For the financial services market, implementing CSR requires the overall industry to self-reflect and consider the kind of impact they have on society and the communities they serve.